Andy Hogan, Will Rogers Memorial Museum historical tour guide and Will Rogers interpreter, introduces campers to the horses on the Will Rogers Birthplace Ranch. May 16, 2017-School is out and already the kids are feeling bored?? 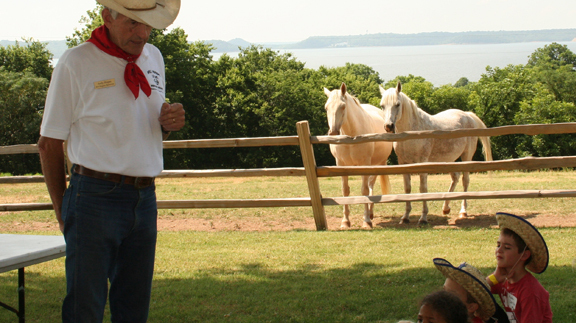 Frontier Days Kids Camp at the Will Rogers Birthplace Ranch near Oologah is a place to keep ages 5-12 busy June 19-21. Campers will have a chance to “experience the hard work of ranch life in the 1800s in a fun, entertaining and learning environment,” said Tad Jones, Will Rogers Memorial Museum director. Reservations are required and should be made as soon as possible as space is limited. 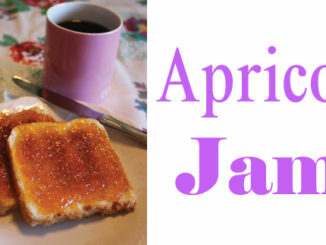 Camp hours are from check-in at 8:30 a.m. to 12:30 p.m. (snacks and lunch provided). Cost is $45 each for non-members or $30 each for members. 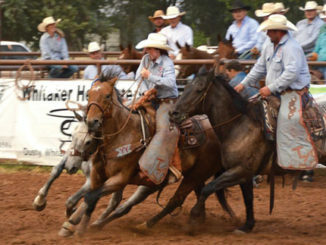 Reservations should be made on the website, willrogers.com, click on Frontier Days Kids Camp. 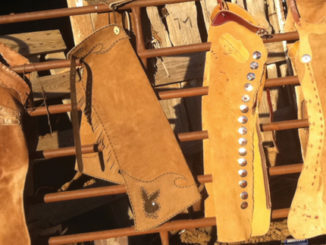 There will be 1800s games and crafts, leatherwork, rope making and hayrides on the range and down to Oologah Lake through the herd of Longhorn cattle. Among special guests will be Bart Taylor, former Will Rogers Memorial Museums assistant educator, now with Gilcrease Museum; Dave Fowler and Jennifer Frazee, Oklahoma Historical Society and Murrell Home, 19th Century agricultural practices; and domestic life and blacksmiths. 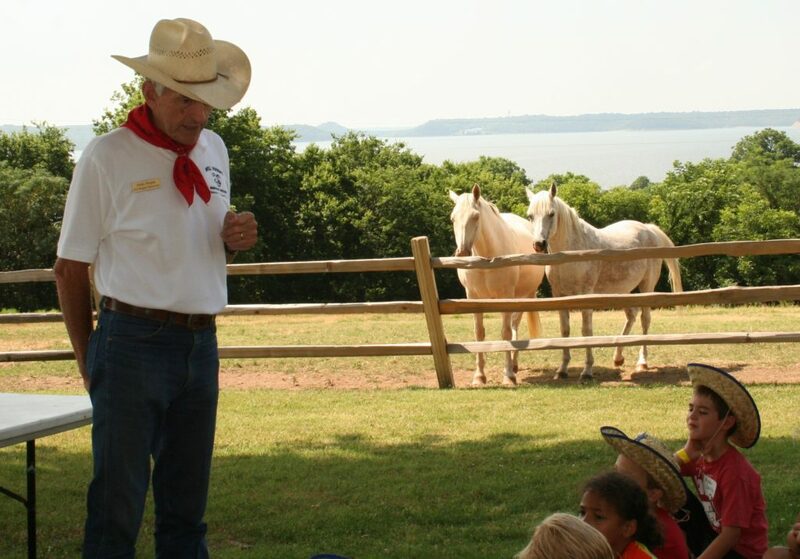 Cherokee Storyteller Robert Lewis will be at the camp on opening day and Andy Hogan, Museums historical tour guide and Will Rogers interpreter will be on hand the second day. The final day will be highlighted by entertainment with Cowboy Magician Doug Anderson, and Robert Gibbs, Rogers County Soil Conservation District educator who will talk about natural resources and nature. Each camper will go home with a cowboy hat, shirt, rope and bandana.